According to a recent study by The Nielsen Company, smartphone users now comprise half of all mobile phone users in the U.S., and half of those smartphone users are men. It is advantageous for any business to target the rising numbers of smartphone users, including golf courses. Mobile apps for golf courses have the ability to go wherever your customers are. Smartphone users always have a computer with them, without being tied to one at home or at work. Whether they are actually on the golf course, at home, at work or on the go, mobile apps reach them anywhere they are. They can serve as a great marketing tool for any golf course. A custom mobile app can push specials, news, and course information directly to your customer’s smartphone. It is important to note that this information can reach your customer even without the app being open. A mobile app can provide your golf course with things like geo-location and automatic Facebook status updates. You can alert potential golfers that you have open tee times in the immediate future by setting up push notifications that go out to any smartphone within a thousand feet of the course. Attract more golfers with mobile apps and see your business increase. In developing a mobile app for your golf course, there are some points to keep in mind and things to make sure your app includes. An app that includes bird’s eye views of each hole and gives each player their correct yardage before each stroke really enhances their play and the time they spend on your course. Other items that will enhance your app include hour-by-hour weather forecasts and the option to reserve tee times through the app. Developing a mobile app that really caters to your golfers will increase their loyalty to your course and keep them coming back again and again. There are generally three options for developing a mobile app. One is to develop the app yourself. If you aren’t very knowledgeable about app development or feel overwhelmed at the thought, you can hire an in-house app builder. A great alternative is to outsource your mobile app design. Online sources such as oDesk or Elance make connecting with a mobile app designer quite easy. At either of these sites, there are thousands of contractors registered and waiting to share their expertise with you. Mobile app designers, developers and builders have all been tested on their skills and rated by previous employers. As an employer, you have the option to hire one or to hire a whole team. Through the oDesk or Elance platform, you can work with your developer as if they were onsite with you. This makes it easy to show them exactly what you have in mind for the mobile app for your golf course. Review their work and okay payment once you are satisfied with the finished product. There are also Online Mobile App Builders you can use if you want to create a golf app. Click Below to check it out. 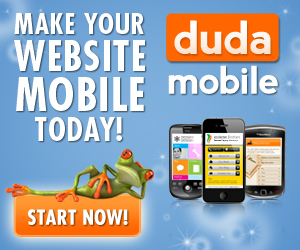 Get your golf marketing plan in gear and Go Mobile with Text Marketing, a Mobile Website and Mobile Apps! Great idea! After reading this article, we have decided to integrate social media with my mobile application.We believe that the customers would it find more fun filled and more friendly towards their needs.We would sure look ahead of checking the developers in Odesk and Elance.Thanks for these wonderful ideas and suggestions! Previous post: Church Mobile Apps – Whats your Mobile Strategy?